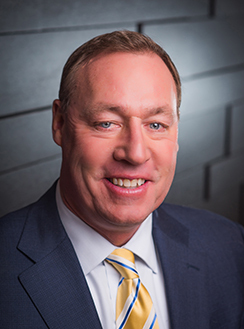 Bradley D. Page is our Senior Vice President – General Counsel, a position he has held since February 2015. Prior to joining Physicians Realty Trust, Page spent more than 19 years as a shareholder and practicing attorney at Davis & Kuelthau, s.c., including the last year and a half as President of the firm, when he resigned to accept the General Counsel position with our company. Over his career at Davis & Kuelthau, s.c., Mr. Page represented businesses in all areas of commercial real estate, commercial lending, and corporate and construction transactions, including Physicians Realty Trust. Mr. Page’s private practice included acquisition, development, leasing, and sales of healthcare, retail, office, multifamily, and industrial properties. He has extensive experience negotiating contracts, leases, organizational documents, real estate documents, financing documents, and other agreements with national retail tenants, healthcare providers, financial institutions, municipalities, and owners of real property. Mr. Page is a graduate of the University of Wisconsin Law School, with a B.B.A. from the University of Michigan. Mr. Page retired from the United States Army Reserve in 2004 as a lieutenant colonel in the Judge Advocate General’s Corps. Mr. Page is a member of the Board of Directors for Summerfest Foundation, Inc.